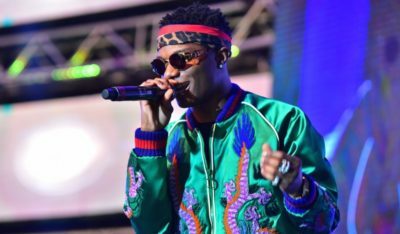 One of the biggest music festivals around the world, Coachella has already begun and music lovers are so excited to have top artists perform live. 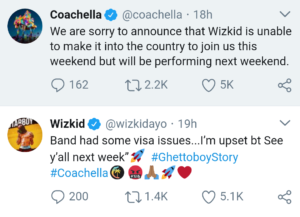 One of Nigeria’s biggest music export Wizkid was scheduled to perform during the first weekend of Coachella. 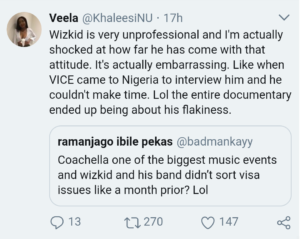 However, due to unforeseen circumstances, the starboy could not make it to America to perform to an expectant crowd of fans – visa problems. 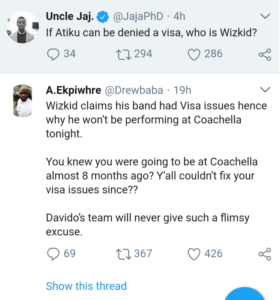 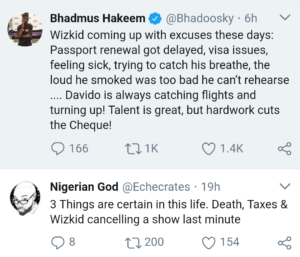 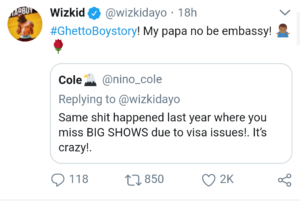 Nigerians on twitter were pissed off about his earlier announced absence and hell broke loose as Wizkid was trolled on the social media with thousands of tweets thrown at him. 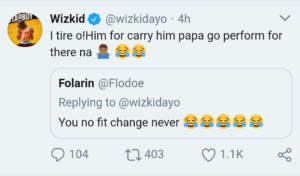 Well, Wizkid took out some time to respond to some folks!